Raqchi is one of the most popular archaeological sites in Cusco. Due to the Inca constructions found there, this citadel was as important as Machu Picchu. Learn all the information about this archaeological site of the South Valley, also known as the Temple of Huiracocha. How to get to Raqchi? What is the weather like in Raqchi? What is geography like in Raqchi? What archaeological sites are there in Raqchi? How to visit Raqchi with tour? How to visit Raqchi with the Tourist Ticket of Cusco? How to visit Raqchi on your own? When is the best time to go to Raqchi? How to hire a guide in Raqchi? What are Raqchi’s visiting hours? Raqchi was a settlement of houses and temples incas dedicated to Wiracocha (or Huiracocha), the creator god of the world according to many Andean cultures. It is believed that Raqchi was built during the governments of the Incas Huiracocha, Pachacútec and Túpac Yupanqui during most of the 15th century. However, the excavations carried out on the site, found ceramic remains of pre-Inca cultures. This would show that Raqchi was a sacred site for the cultures that preceded the Incas..
Today, Raqchi is one of the most important tourist attractions of the South Valley of Cusco. Every day the number of tourists that visit its buildings full of history increases. The god Huiracocha is known as the ‘God of the Staffs’ for his representation with staffs in his hands. According to the Andean vision, he created heaven and earth. Raqchi is located in the South Valley of Cusco. It belongs to the district of San Pedro de Cacha, in the province of Canchis. The archaeological site is located 3,550 meters above sea level. Raqchi is located almost 119 kilometers from the city of Cusco. To get there, you must take the road to the south that connects Cusco with Puno. The journey by car takes about 1 hour and 40 minutes. The climate in Raqchi is temperate and dry. There are 2 stations during the year. The dry season runs from April to October and is characterized by sunny days (21ºC) and cold nights (0ºC). The rainy season happens from November to March. During those months, the rains occur more frequently. Raqchi is located in the Vilcanota Valley, next to the river of the same name. The total area of ​​the Archaeological Park is one thousand hectares. Around are tombs, pre-Inca constructions and aqueducts. The Temple of Huiracocha – This monumental construction is the largest of the Incas. It is a temple (of which only the walls remain), of stone and adobe of 20 meters high. It has windows, doors and columns. The Temple Inca Higher – This enclosure is similar to the Temple of Huiracocha. However, currently only the stone and adobe foundations of the site are maintained. The Colcas (warehouses) – These small circular constructions were used to store food. In Raqchi, up to 156 colcas were found. Such quantity of products had the purpose of keeping the visitors and messengers of the empire ( chaskis ). The Enclosures – These buildings were houses or barracks dedicated to the inhabitants. In Raqchi, it has a total of 22 precincts located parallel to one another in an esplanade. The Fountains of Waters – These finely carved constructions were intended to supply water to Raqchi. The best worked source is called ‘Baños del Inca’. The Qhapac Ñan – The archaeological site of Raqchi was part of the Qhapac Ñan, the network of trails that the Incas built throughout their empire. Because Raqchi was a kind of ‘Chaskiwasi’ (House of the messengers), it enjoyed great importance during the Incas. During the excavations in Raqchi, a statue of the god Huiracocha was found split in two. Currently, one is in a museum in Madrid and the other in the Inca Museum in Cusco. Raqchi 1 day tour – The whole day tour to Raqchi is the most common way to visit the Temple of Huiracocha. They generally include transportation (round trip), lunch, tour guide and entry to this and other tourist sites (Piquillacta, Andahuaylillas). Cusco – Puno route tour – This 1-day private bus service takes tourists to some of the tourist attractions in the South Valley. In addition to Raqchi, visit the Colonial Temple of Andahuaylillas and the Museum of Pukara, in the Puno region. Experiential tourism in Raqchi – Another way to visit Raqchi is through the experiential tour of 2 days and 1 night. This service includes transportation, food, accommodation in a native family and entry to the archaeological site of Raqchi. The cost of the 1-day tours to Raqchi and other attractions of the South Cusco Valley cost around US $ 80 per person. The cost of the bus tour by the route Cusco – Puno has an approximate cost of 65 U $ D per tourist. The cost of the experiential tourism tour in Raqchi is priced at US $ 70 per person. The Tourist Ticket of the General Cusco includes the entrance to Raqchi. 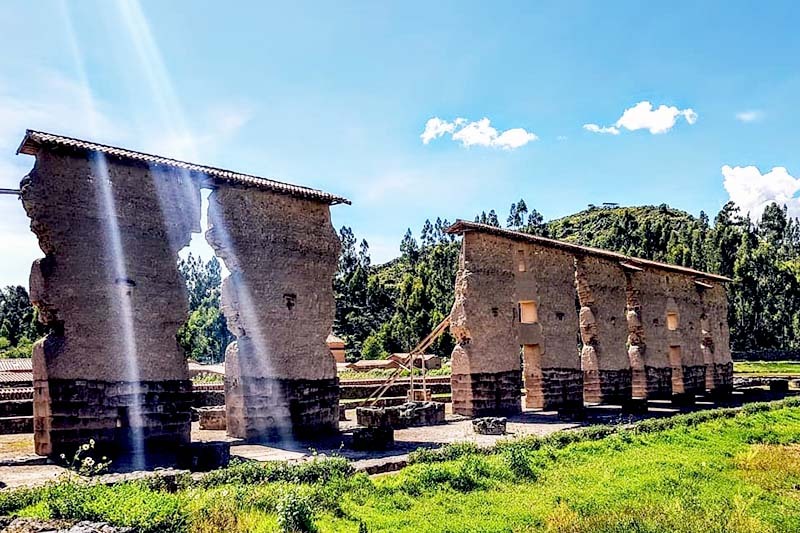 This set of tickets was designed for the tourist to access at the lowest cost to all the attractions of Cusco and surroundings such as Sacsayhuaman, Coricancha, Pisac, Ollantaytambo, among others. To acquire the Cusco Tourist Ticket, you must buy it in person at the authorized offices. The ticket only includes the entrance to the tourist attractions. Transportation, guide service or some type of food is not included. The Tourist Ticket of the General Cusco has a cost of 130 soles (40 U $ D) per person. University students pay 70 soles (US $ 21). The ticket includes Raqchi and many other attractions of Cusco. To visit Raqchi on your own you should only take the buses (Cusco – Urcos, or Cusco – Sicuani). Once in Raqchi, you must buy the entry ticket directly. The bus station on Huayruropata Avenue (Cusco) is where the cars start. The entrance ticket to Raqchi costs 10 soles (US $ 3) per person. The only additional costs are transportation, food and some extra expense. The best time to visit Raqchi is during the dry season (April to October). During those months, the days are sunnier and there is less chance of rain. Do you want to visit Raqchi on your own with a specialist about the Incas? In the same archaeological site you can hire the services of a tour guide. Tours to Raqchi include this service. 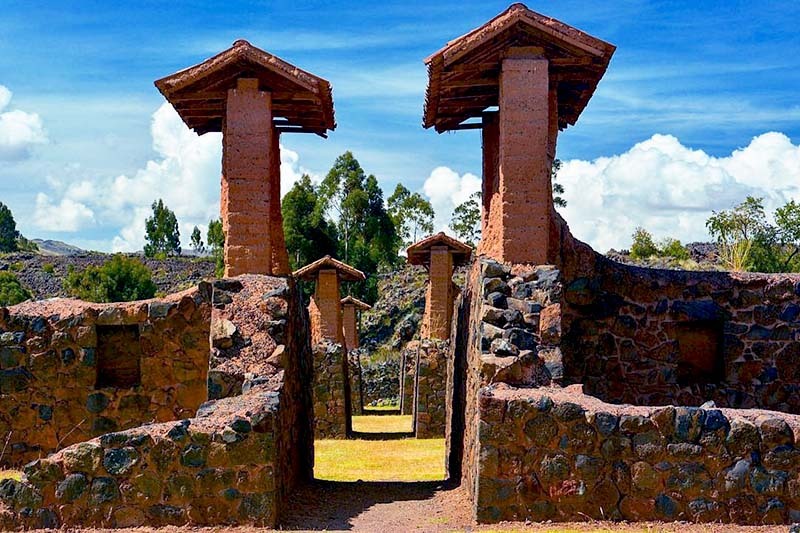 Raqchi is one of the best attractions of the South Valley of Cusco where you can also find the Inca archaeological centers of Tipón and Piquillacta. Dare to discover the mysteries of these incredible places. Raqchi is one of the places where customs and traditions are still preserved hundreds of years ago. Encourage yourself to interact with the population or, why not, do experiential tourism there. During the visit to Raqchi, be sure to bring sunblock, hat, water in a canteen, a camera and a poncho in case of rain. If you plan to visit Raqchi in June, remember that on the third Sunday of that month the ‘Raqchi Festival’ is celebrated, a festival with dances, food and plenty of drink. ← How to get to Machu Picchu by the Lares Trek?